The uniform blouse has the Eagle, Glove and Anchor embroidered on the left breast pocket. 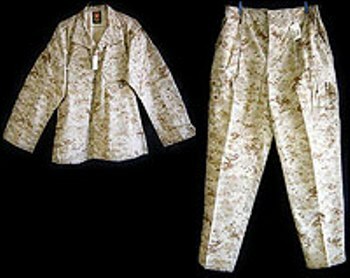 The uniforms, both trousers and blouses have the small printed USMC & EGA (Eagle, Globe & Anchor) insignia imbedded within the digital camouflage pattern at approximately every 13" intervals. This is a printed logo, not embroidered and is sometimes difficult to locate, but it is there. Authenticity is also confirmed by the manufacturer as listed above as well as the contract number that will be present on all tags. 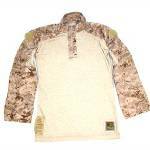 INFORMATION NOTE: MCCUU stands for Marine Corp Combat Utility Uniform. The details of the uniform are carefully described above. 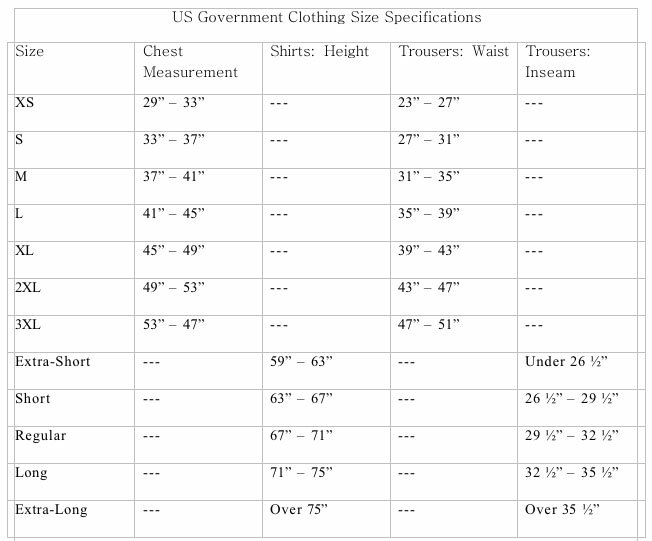 Most sellers and buyers do not understand that the MCCUU is different from the FROG USMC uniforms in fabric content and NSN though the features are the same. (Fabric content on FROG uniforms are non-melting fire resistant where the MCCUU is 50/50 Nylon/Cotton.) Be careful when purchasing uniforms from suppliers other than Glenn. When Glenn lists a USMC uniform as a FROG uniform, it is the FROG uniform, most sellers utilize the term FROG for any USMC uniform. Glenn has FROG USMC uniforms for sale listed separately.